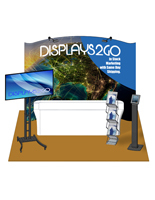 Are you on the hunt for a seamless solution to your convention display? 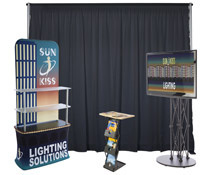 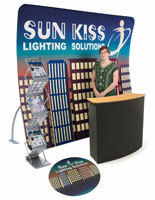 Any one of our trade show kits can serve as an all-in-one presentation unit for your next event. 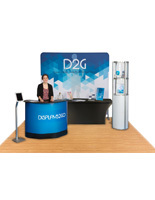 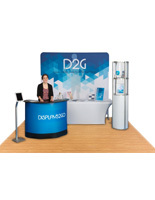 Within this category, you will find portable booths in many styles to meet your exposition needs. 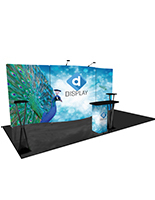 Whether it’s a large truss display or a smaller backdrop with counters, our trade show kits will help bring your exhibit in the spotlight. 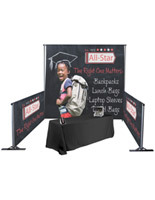 Many of these complete units can be personalized with custom graphics to get your brand message across to passersby. 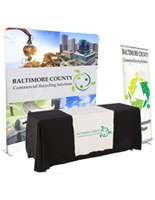 It’s important to have a trade show kit filled with informative material for visitors to better understand your business and your mission. 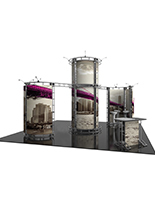 Read on to discover what features our exhibits have to offer you and your business. 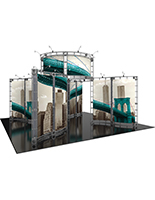 What are some of the features within our all-in-one exhibits? 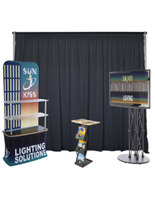 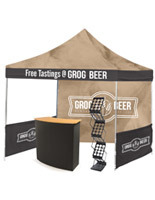 Trade show kits with hook-and-loop receptive fabric take many forms. 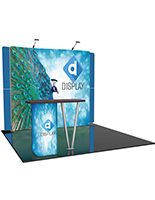 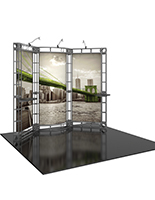 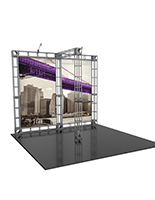 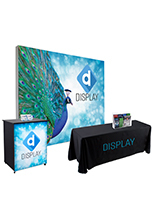 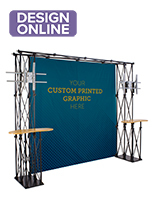 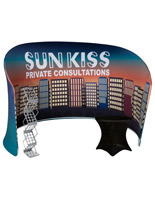 Large curved backdrops or panel displays are offered with this material for exhibitors to hang accessories for brochures, magazines, and posters. 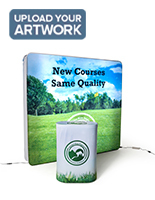 Portable containers with hook-and-loop receptive fabric are also available. 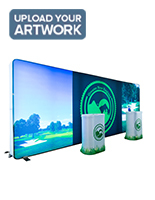 With these, businesses can hang a graphic with their company name or logo in plain view of passersby while at the same time using the surface to engage with visitors. 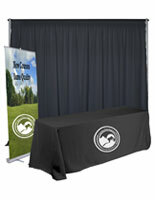 Custom graphics can be printed on large and curved backdrops - in 8’, 9’, 10’, and even 18’ wide units. 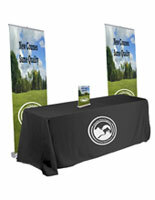 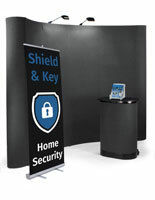 Retractable banner stands, counters, table covers/runners, and tents can also be customized with personalized images. 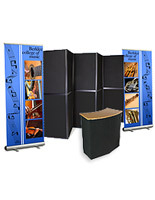 For those who are looking for a simpler background solution, we have exhibits with a black 10’ pipe and drape backwall. 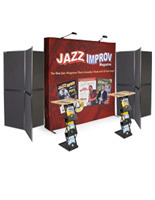 Many of our convention exhibits contain a set of portable flooring to add to the overall presentation of your exposition. 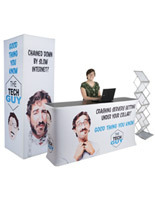 10x10 interlocking wood grain foam tiles help create a visually appealing presentation as well as a more comfortable space for your feet. 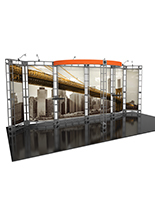 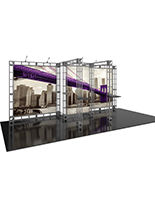 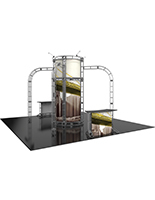 Metal truss displays that hold an 8’x8’ custom graphic will be sure to turn heads at your next convention. 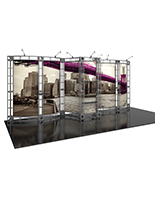 This massive module comes with truss counters and television stands for the ultimate display package. 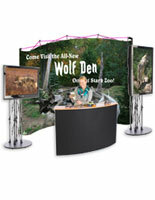 Furniture and other accessories are available in many of our all-in-one exhibits to help enhance your presentation. 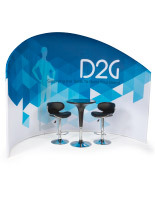 Modern pub-style table and chair sets let visitors relax at your booth. 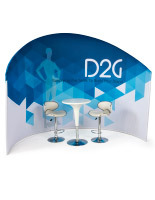 The seating also gives you the chance to create a conversation to discuss your business with passersby. 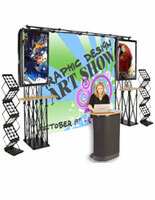 Attachable LED lighting is useful for putting your presentation in the spotlight. 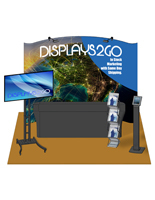 LED display cases let exhibitors showcase special products. 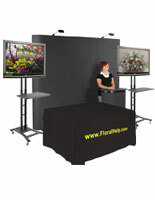 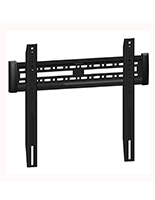 Plasma TV stands and iPad/tablet holders enhance the technology aspect of any exhibit. 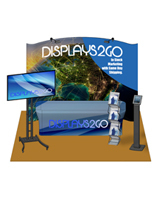 Exhibitors can play slide shows or have interactive simulations to engage passersby. Folding tables and large portable counters create extra space for demonstrations, showcasing products, and conversing with visitors. 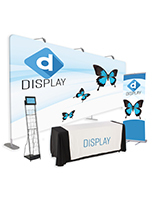 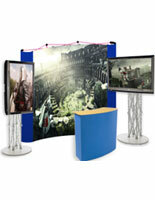 Our portable exhibits will create an effective presentation area at the next convention you attend. 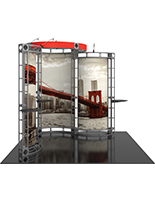 We have designed these modular systems with portability in mind. 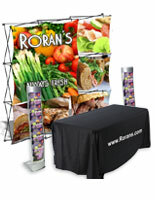 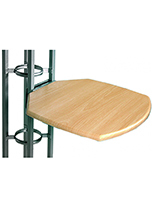 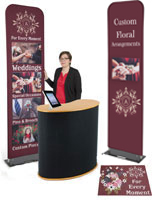 Many of these banner stands and counters are lightweight and come with a carrying case or bag. 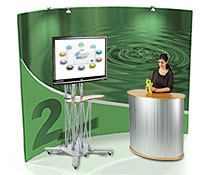 Most of the accessories shown here can be set up by one person in a matter of minutes. 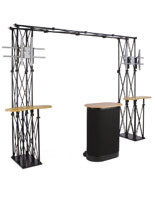 The TV stands included with these modular systems are also portable and can be repositioned easily. 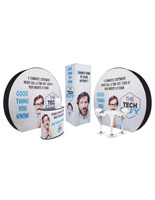 These display units require no extra tools to be assembled. 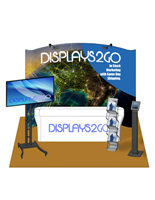 Shop online at Displays2go today to take advantage of quick shipping and low prices!